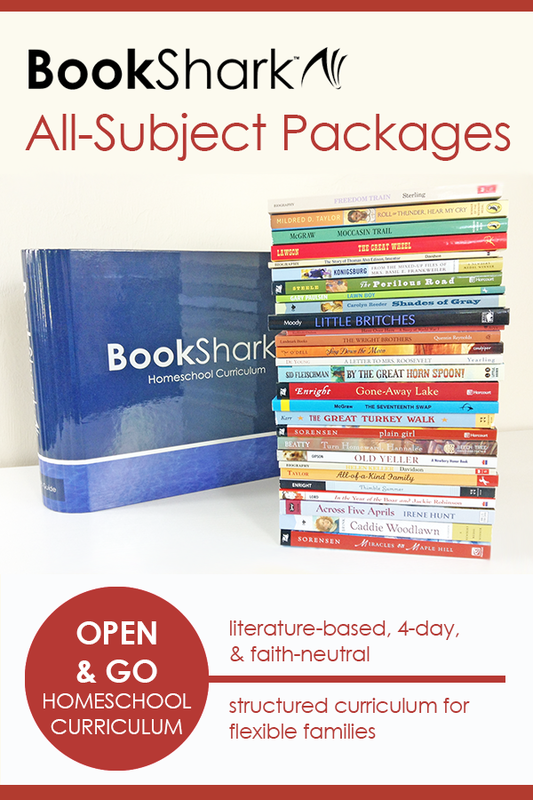 At BookShark, we know that every homeschool family is unique, and every student has individual strengths, weaknesses, and preferences. A one-size-fits-all approach rarely fits all. 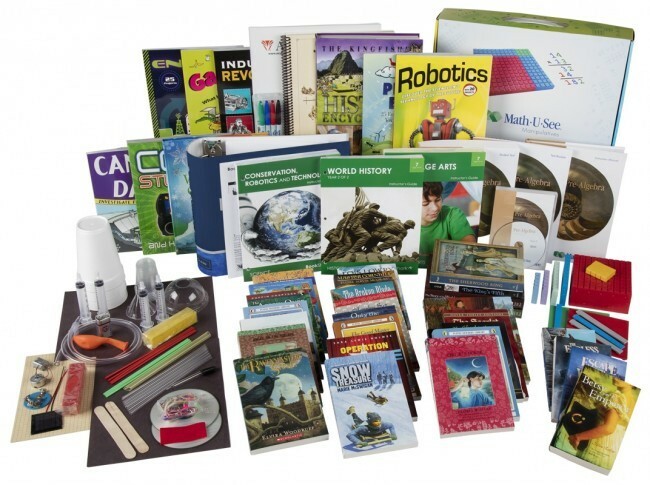 Our All-Subject Packages give you the best of both worlds—the convenience of an all-in-one boxed curriculum with the flexibility of customization and adaptable age ranges (called Levels) instead of rigid grades. 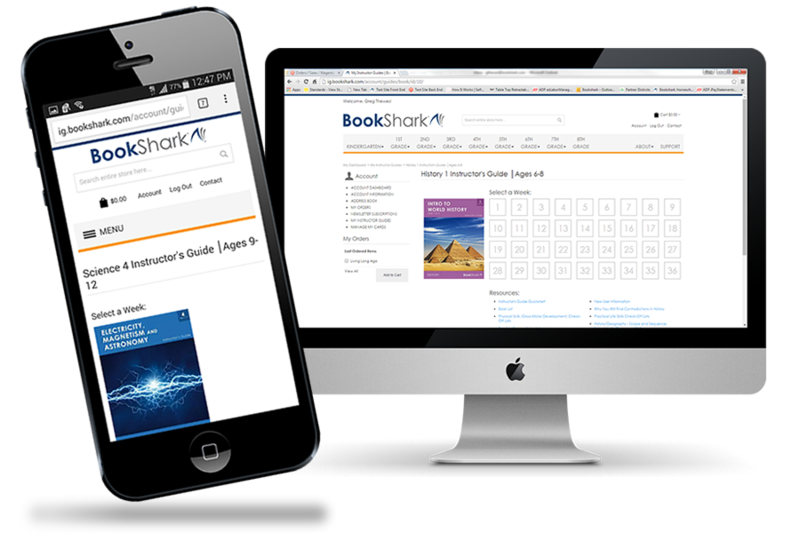 BookShark made it easy for me to buy everything—including Math—from one website. 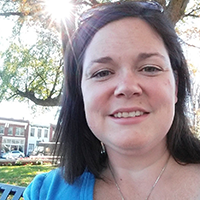 I chose BookShark mainly because it has a 4-day schedule that is detailed and easy to implement, even for a busy mom. (I have a toddler as well.) We usually double up on the Science and History each day. This minimizes the switching time for me, and it works! 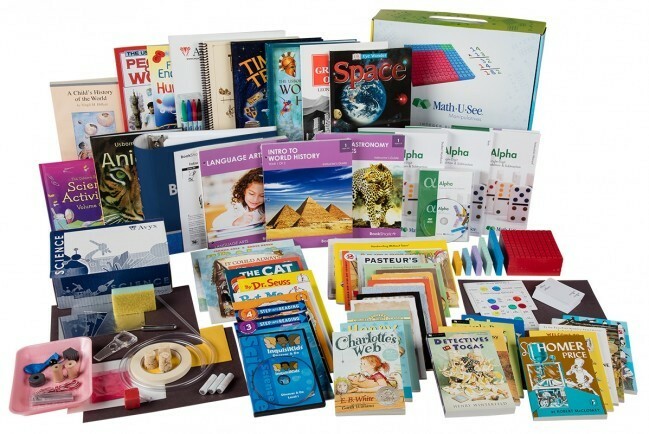 BookShark offers All-Subject Packages to ensure you have everything you need to teach your children for an entire year—all subjects, fully planned, and with all the necessary components. Opt in or out of Spelling, Handwriting, or the Required Resources. 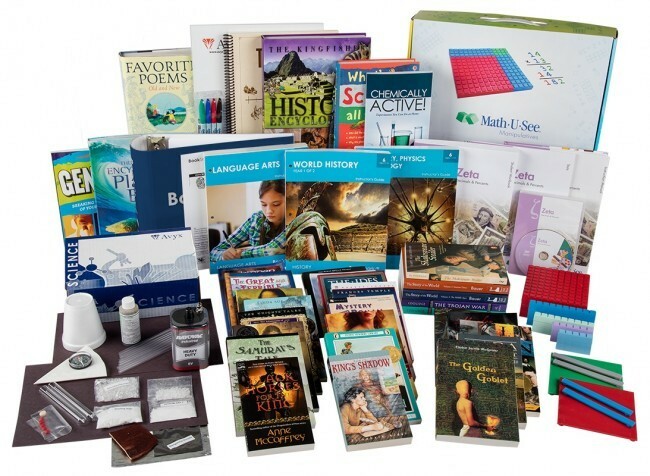 Select any of our premier math programs—Math-U-See, Saxon, Singapore, RightStart, etc. In the lower levels, select the Readers that best suit your child's reading level. 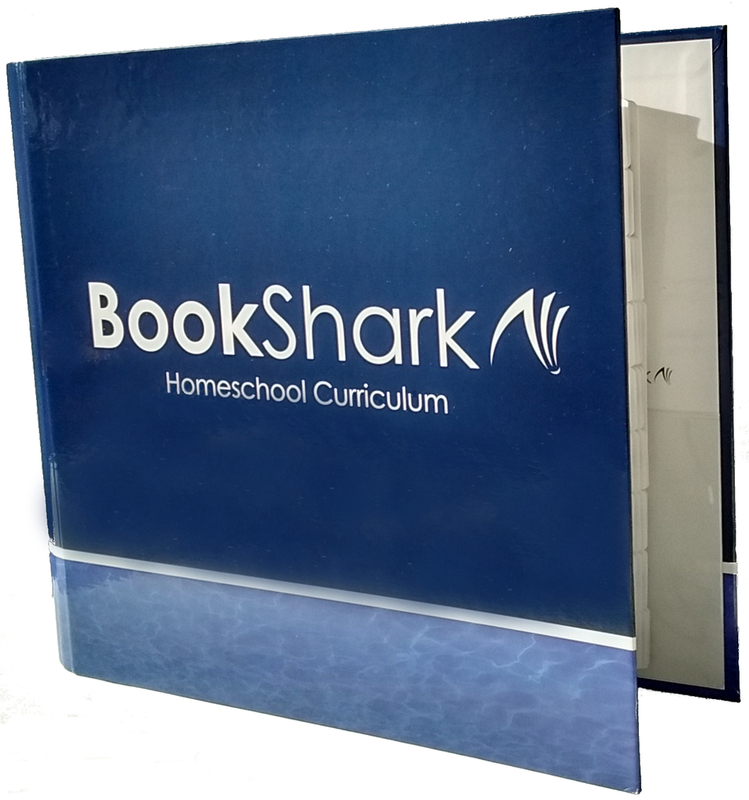 Your BookShark curriculum may come in one big box, but it's a flexible boxed curriculum! 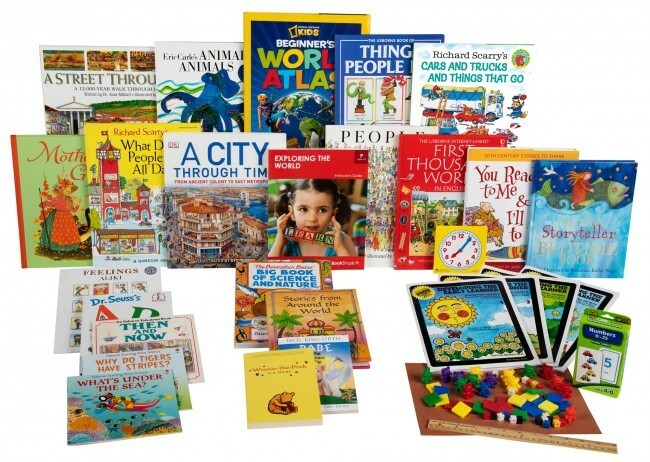 You make it your own to suit your child, your budget, and your existing home library. ​See how it works. Select one of the All-Subject Packages below and click on the CUSTOMIZE tab to see the various options for each program. $140 to $160 off retail. All-Subject Packages include free access to the corresponding online Instructor’s Guides. 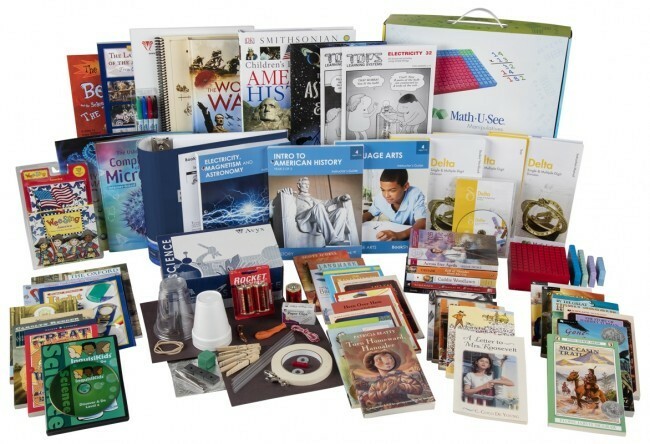 All-Subject Packages include FREE FedEx shipping, available in the lower 48 states. Free media mail is available in Alaska and Hawaii. Call 866-668-0179 for details. 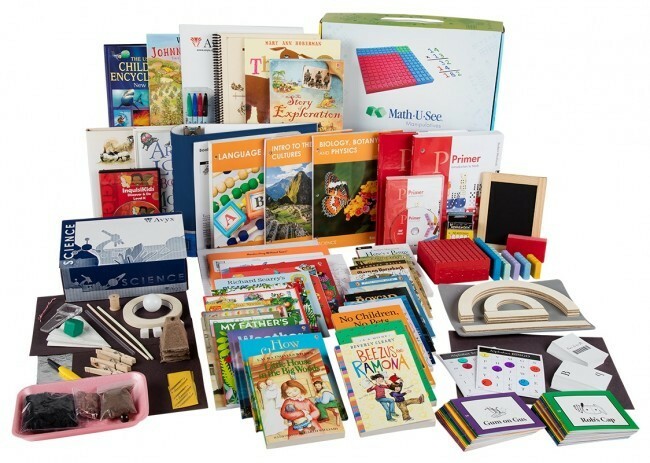 materials necessary to homeschool each day. 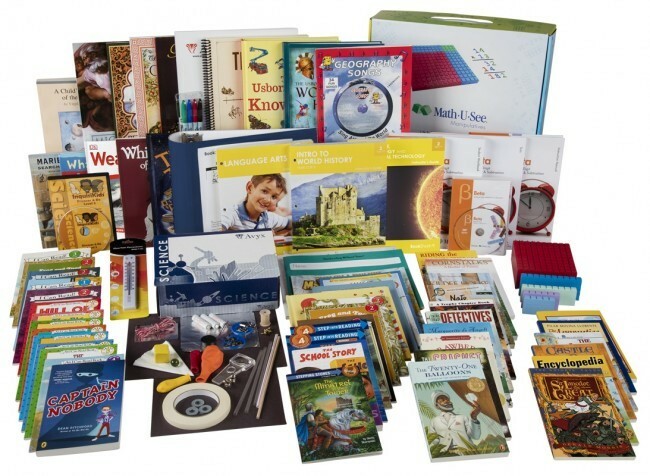 Each package includes 35 to 50 books that your students will either read or have read aloud to them throughout the year. We can't say enough good stuff about BookShark. We're doing Levels 3 and 5 this year. My kids are hooked. The books included in the levels are amazing. We've traveled to amazing places and learned so much, and we're only on week 13. Who knew a middle schooler would ask if we could still do school on our 5th day because he wanted to find out what happens next in the books we're reading? Also, I've been amazed at how much I've learned through reading along with them. Oh, and the 4 day schedule is perfect. We use our 5th day to catch up or just for fun field trips, experiments, and messy art projects. 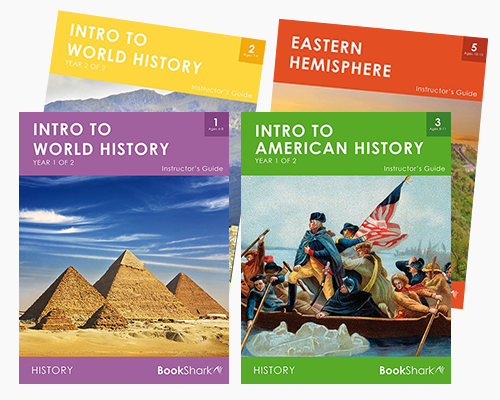 Your choice of BookShark Language Arts Instructor’s Guide can be added to any Reading with History program (Levels K-7). 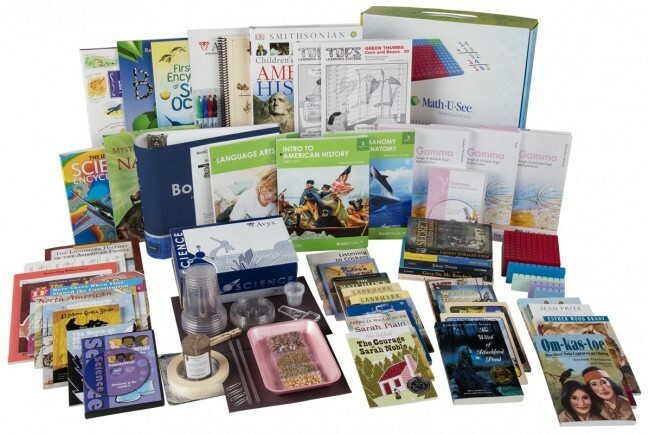 Choose from our large selection of math programs, including Math-U-See, Saxon, Singapore and many others. For Math placement tests, see bookshark.com/resources. We schedule Handwriting Without Tears in our Language Arts Instructor’s Guides. For students in Level K to Level 2 Advanced, spelling is included in the Language Arts Instructor’s Guide and is based on words students are learning to read. From Levels 3 to 7, we offer Spelling You See and All About Spelling as spelling options. For BookShark Reading with History, Science and Language Arts programs, we offer levels as opposed to grades. Each level is appropriate for an age range of about 3 years. We do this for content related subjects like History and Science so you can select from a range of topics or combine multiple children of varying age into one program. Though we offer recommended age ranges for Language Arts and Readers, it is important to place your student based on their current skill level. This is especially important for younger students ages 5 to 7 where skill sets vary more than that of students 8 and up. 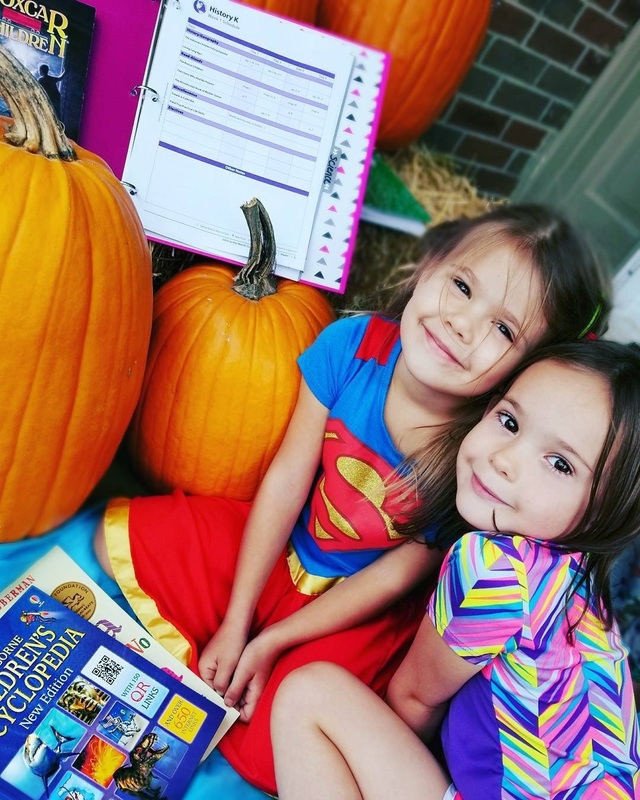 One of the goals of our program is to instill a love of reading in your student, so it is important that they enjoy and not labor over the many stories that they read over their BookShark years. Use this assessment to place your child in the best fitting program. Again, remember that the goal is to have your student enjoy the stories, so aiming high may work against you. If your student is sounding out the words on the assessment but wouldn’t have the ability to read them fluently in a story, we recommend you place them in a lower level. 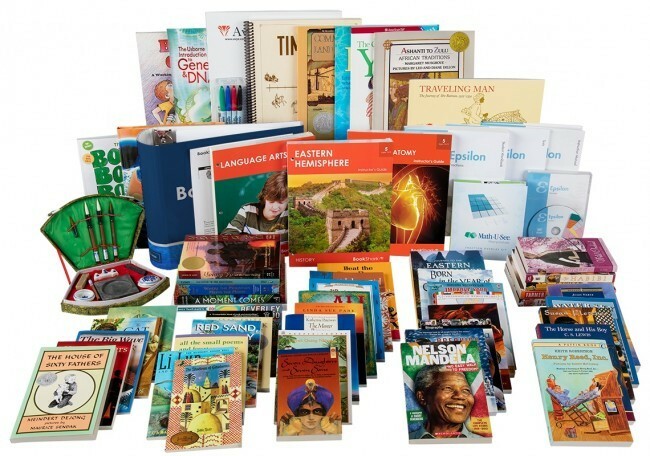 With the amount of reading you are going to do with BookShark through Readers, Read-Alouds, and resource books (roughly 50 books per year if you do both History and Science), your student’s vocabulary and reading skills will not suffer if you place at, or even below, your student’s reading level. In addition to the Reading assessment, we encourage you to look at sample excerpts from each level. You will find them on the assessment page directly below the Reading Assessment chart. These excerpts are taken directly from Readers within each level. 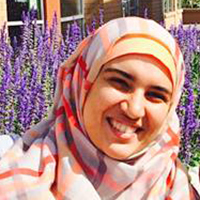 structured curriculum for flexible families. Email bold@bookshark.com or call 1-866-668-0179. We are available Mon. - Thurs. 9:00am - 4:00pm MT and Friday 9:00am - 1:00pm MT.